Genetic testing improves the diagnoses of abnormalities in developing babies that are picked up during ultrasound scans, scientists report today (31 January) in The Lancet. Biomedical engineers Dr Marnie Winter and Professor Benjamin Thierry from UniSA's Future Industries Institute and the ARC Centre of Excellence in Convergent Bio-Nano Science and Technology are part of a team of researchers who have isolated fetal cells from maternal blood using a tiny microfluidic device, allowing for improved genetic testing. Researchers at Carnegie Mellon University and Yale University have for the first time used a gene editing technique to successfully cure a genetic condition in a mouse model. Until a few years ago, invasive testing was the only way to diagnose trisomies, such as the Down syndrome, before birth. These invasive tests, for example amniocentesis, have a risk of causing miscarriage. A collaborative study between six of the National Primate Research Centers shows pregnancy loss due to Zika A infections that don't cause women any symptoms may be a common but unrecognized cause of miscarriages and stillbirths. From holding your baby for the first time to bonding through breastfeeding, UC San Diego Health is committed to providing the highest quality of care and support for the best start to parenthood and life. 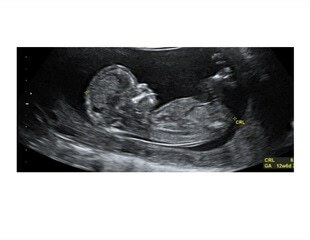 As the use of non-invasive prenatal screening (NIPS) grows, there has been concern within the medical community that a poor understanding of this technique among clinicians and patients could negatively impact pregnancies. The feeling of constantly being on edge, always having to take care of everything, not being able to find a balance: If an expectant mother is strongly stressed over a longer period of time, the risk of the unborn child developing a mental or physical illness later in life - such as attention deficit hyperactivity disorder (ADHD) or cardiovascular disease - increases. If the mother is stressed over a longer period of time during pregnancy, the concentration of stress hormones in amniotic fluid rises, as proven by an interdisciplinary team of researchers from the University of Zurich. Short-term stress situations, however, do not seem to have an unfavorable effect on the development of the fetus. Hamilton Robotics continues to strengthen their ongoing partnership with Illumina, Inc. through the collaborative development of the VeriSeq™ NIPT Solution for high-throughput noninvasive prenatal testing (NIPT). In this interview, Jay Flatley, Executive Chairman of Illumina, gives an introduction to Illumina and the next generation genomics tools they provide. Genetic counselors are playing a greater role in areas of medicine in the wake of advancement in genomic technology. Caring for an infant begins long before birth. Expectant moms are advised to avoid smoking and drinking, watch what they eat, and follow a host of other recommendations that are in the best interest of themselves and their little one on the way. The National Institutes of Health and Fundacao Oswaldo Cruz-Fiocruz, a national scientific research organization linked to the Brazilian Ministry of Health, have begun a multi-country study to evaluate the magnitude of health risks that Zika virus infection poses to pregnant women and their developing fetuses and infants. Abnormal cells in the early embryo are not necessarily a sign that a baby will be born with a birth defect such as Down's syndrome, suggests new research carried out in mice at the University of Cambridge. In a study published today in the journal Nature Communications, scientists show that abnormal cells are eliminated and replaced by healthy cells, repairing - and in many cases completely fixing - the embryo. Sequenom, Inc., a life sciences company committed to enabling healthier lives through the development of innovative products and services, today announced the publication of a clinical validation study on the MaterniT GENOME laboratory-developed test in the American Journal of Obstetrics and Gynecology.